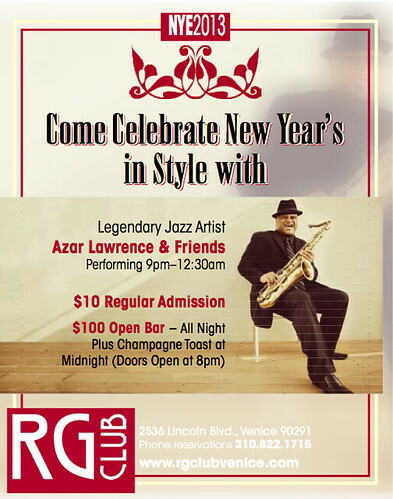 New Year's Eve at the RG Club! - Yo! Venice! Home Venice Beach Art New Year’s Eve at the RG Club! Looking for a great night of music on New Years Eve? 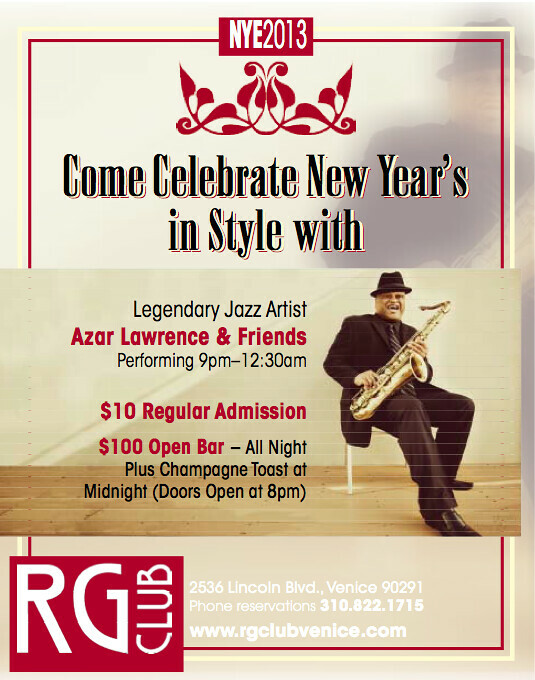 Check out Azar Lawrence at the RG Club! Azar will be performing from 9pm-12:30 am. Admission is an easy $10! Try the open bar for $100! Check out the RG’s Facebook page for all the latest details!